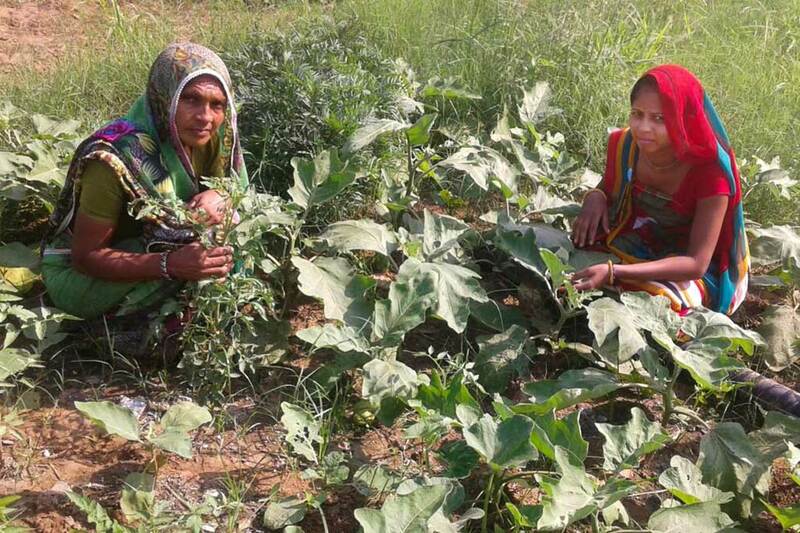 Women in Nani Borvai, Gujarat take care of a vegetable garden they also want to use to promote healthy living. In backyard spaces, families across Amrita SeRVe villages are figuring out ways to ensure their basic nutritional needs and food security. People are learning how to grow their own kitchen gardens. This includes crops of pulses, vegetables and fruits—everything from spinach to peas to papaya. For many years, those backyard spaces have been used for growing commercial produce and grains, mostly only one type of crop to sell in the local market. By habit, that low income farmer would then purchase cheap vegetables in the same market, irrespective of nutritional value. Growing their own vegetables for household means is becoming a successful pursuit in many of our villages. Mostly recently, women in Nani Borvai, Gujarat sent us pictures of successful crops as a work in progress for a local healthy living project. Together, they grew eggplant, tomato and ladyfingers. 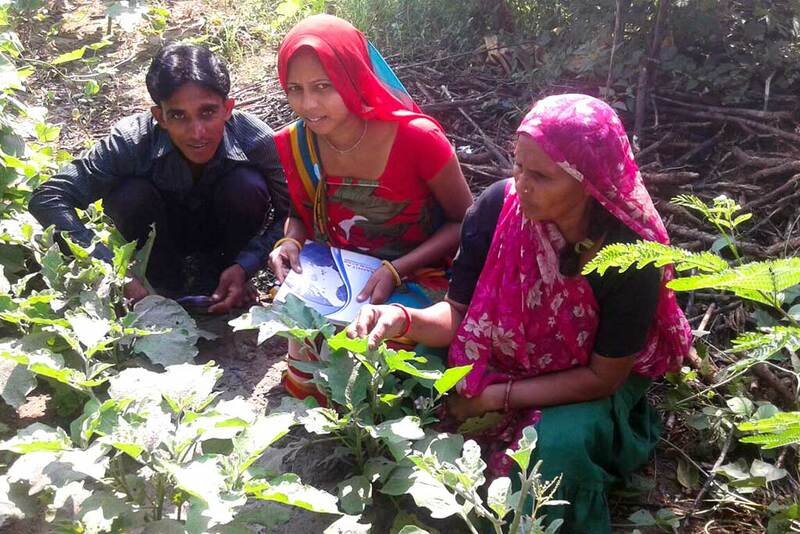 At the same time, women in one of our self help groups from Dunda, Uttarakhand let us know about their happiness having grown spinach, peas, and coriander together.